For little over 9 years I am a proud owner of Fujitsu-Siemens Amilo Si 1520. 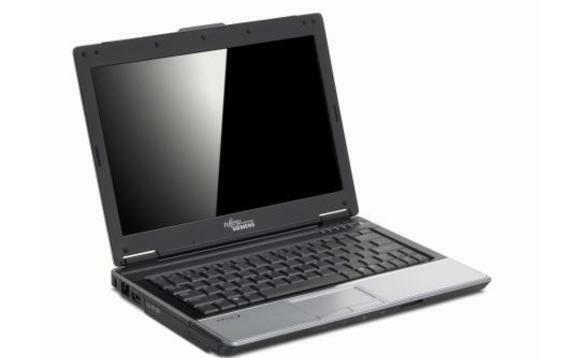 Nice little 12.0” laptop with 1280×800 resolution weighting just over 1.7kg and it even has DVD burner. I got this way back when small laptops / netbooks were not that mainstream. It came with Windows Vista which I immediately uninstalled and downgraded to Windows XP. In the time period I went back and forth between various Linux Distributions like Slackware, Debian, Ubuntu and ArchLinux. All of them are great, but I went back to XP because my wife uses this laptop too and I did not want to complicate things. When Microsoft announced that they are killing support for Windows XP I moved on to Windows 7. Windows 7 was OK not that fast, but not that slow, just enough for daily usage consisting mostly of browsing and watching YouTube videos. When Windows 10 hype began, Microsoft was kind enough to offer free upgrade which I subscribed to. Last night I did it. I clicked on the Upgrade button, and one hour later I was presented with shiny new Windows 10. First impression is that is a lot slower when booting, it takes ages compared to Windows 7. After initial setup which also took a long time, even Windows itself noted that it takes longer than usual. Shiny new Windows 10 desktop with shiny new Start menu with tiles. I did not like the icons or the taskbar. Taskbar is black with black window labels which makes it unreadable, you can only identify windows by their icons. It uses a lot of memory which for my laptop with 2GB of RAM is a downside. General impression I got is that it is slower than Windows 7, but I guess I should not expect that much on 9 year old laptop. I usually close the lid on my laptop which brings it to sleep when I am not using it, but the worst bug I found is that when I open the lid WiFi will not connect to my network. I need to reboot to get it working again, so I guess this is going to be a deal breaker for me and I will revert back to using either Windows 7 or any of before mentioned Linux distributions. I guess my next post will be about installing Linux distribution on this trusty old laptop with some memory friendly desktop environment that will enable us to use it for browsing and YouTube videos like we are used to. I have an Si1520. After installing windows 10, I had the same problem for both sleep an hibernate. Right-click or press and hold Computer (This PC), click or tap Properties > Device Manager (in the left pane). Expand Network Adapters > double-click or double-tap the wireless adapter > Power Management Tab and make sure the check box is cleared against ‘Allow the computer to turn off this device……’. Lastly, press the Windows Logo key+X (or right-click off the bottom left corner) and choose Control Panel > Small Icons > Power Options > Change plan settings (for the selected Power Plan) > Change advanced power settings (at the bottom) > Expand Wireless Adapter Settings > Power Saving Mode and check that the values are Maximum Performance otherwise set it to Maximum Performance. Thank you for your tip, but I moved on to Debian Jessie which runs very smoothly on this laptop and has no issues at all. Regarding your battery comment. I ordered replacement battery from eBay few years ago for less than 30$ and this battery still lasts for 2+ hours.